Interested in Membership? Call Customer Care! eBiz is offline! Please contact Customer Care for Membership and Event Registration at 800-822-2427 or info@girlscoutsccc.org. 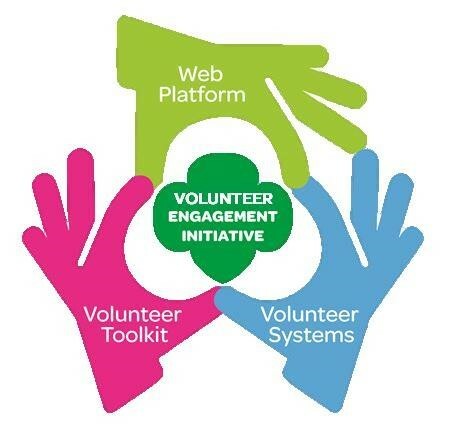 Stay tuned for our VOLUNTEER ENGAGEMENT INITIATIVE (VEI)! Beginning December 2, access to eBiz will be limited. eBiz membership functions, such as registration and renewal, will be replaced by the new Volunteer Systems and will resume by December 19. The new system will make it easier for members to register, volunteers to join and form a troop, get trained, access materials, and stay connected. Event registration will reopen by December 9, and will continue to use eBiz until February. In December and January, you will still need to log into eBiz for event registration – so hang on to that password. The new Activities (“Events”) registration module will launch on February 1, 2017. Need assistance registering for events? Contact: info@girlscoutsccc.org.